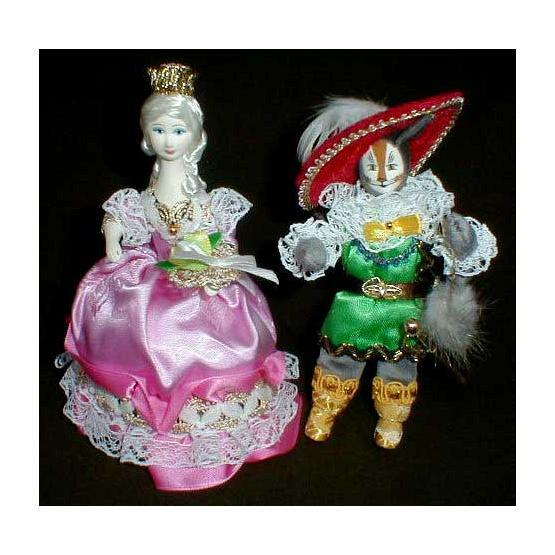 Russian hand made porcelain dolls imported from Moscow, Russia. Dimensions: 9.2" (23 cm) height, 2.4" (6 cm) bottom diameter, 6" (15 cm) width. 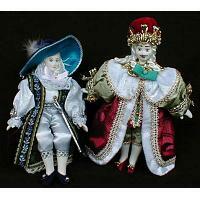 Each doll's head and hands are made of genuine porcelain; soft bodies. Dresses are made of silk, velvet and lace. Authentic reproductions of Russian garb, from peasant to royalty. Sure to add a touch of charm to your world. Perfect gift for any girl or great addition for the collector's corner!